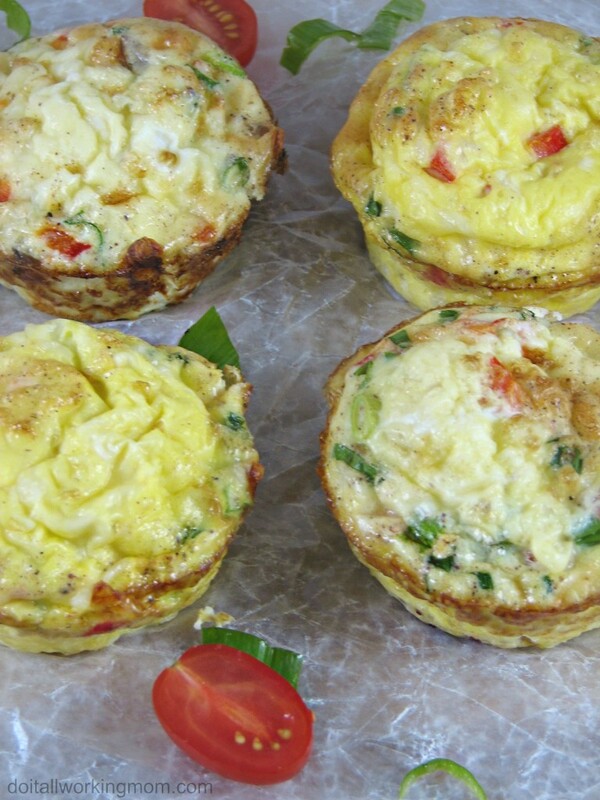 This easy Mini Omelette Muffins recipe is perfect for breakfast, lunch or dinner. You can make a batch and keep them in the fridge for a quick breakfast, or send some to your kids in their lunches. I love to make Mini Omelette Muffins as a week night dinner served with a salad; I then send what’s left over in the kid’s lunches the next day. It takes minutes to prepare and to cook, it’s healthy and everyone will love them. 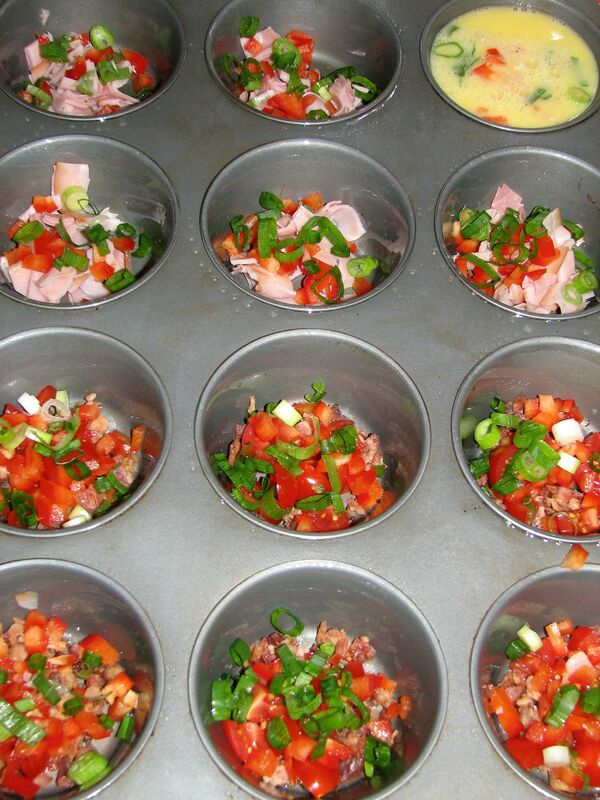 No more trouble flipping omelettes, just place your ingredients in a muffin pan and bake. Spray a muffin pan (12 muffins) with non stick cooking spray. In a bowl whisk together eggs, milk, salt, pepper and nutmeg. Place your chopped ingredients at the bottom of the muffin pan, except for the cheese. 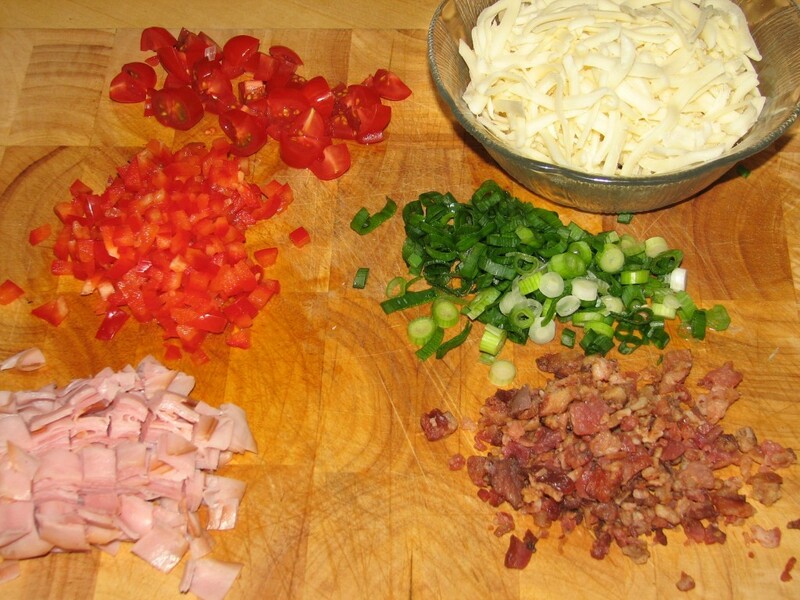 Pour the egg mixture on top of the chopped ingredients (see picture below). Cook for about 15 minutes, or until a knife inserted in the middle comes out clean. Let the mini omelettes cool down for about 5 minutes before removing from muffin pan. Place your chopped ingredients at the bottom of the muffin pan, except for the cheese.. 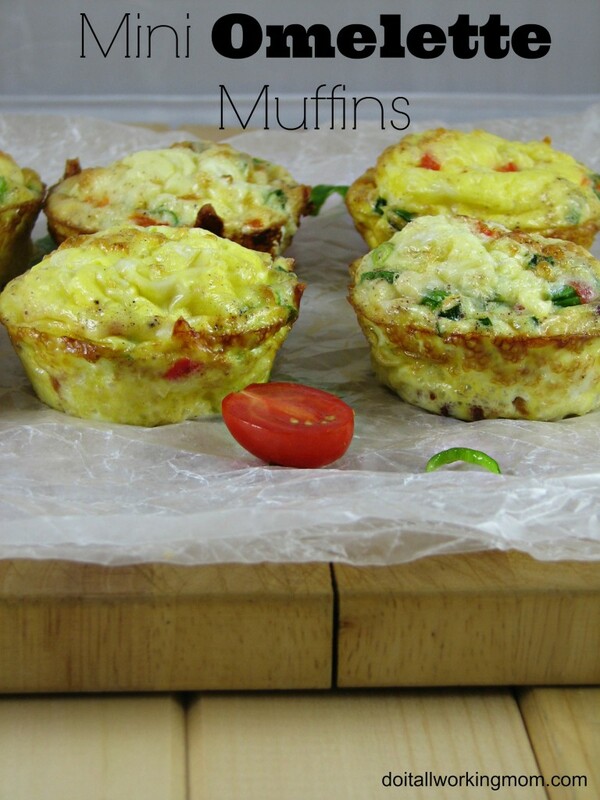 These omelette muffins look so good and easy to make. I love that you can make them using a cupcake pan. I make these all the time for my kids, the love them. We add all sorts of goodies to our egg muffins. What a great breakfast idea. My kids would love these! Oh I just love this idea. They look amazing and I love all of the veggies. Wow. That would be a cool way to serve omelettes. I love that it has all those veggies and of course, bacon! What a great idea to cook an omelet. It’s easier to do and I love that it’s already portioned into serving sizes. This looks delicious! I will be trying this. Bookmarking this post. This is such a great idea. I need to try this for a breakfast!